Blanco, Boerne, and Bandera are Hill Country favorites. For a small town, Blanco supports a surprising number of good cafés. The monthly trade days at the historic courthouse square attract a good crowd, and each June the Lavender Festival draws the visitors. Ranch Road 473 will give you a roller coaster of a ride. If the old gas station in Kendalia is open, stop in for a burger, then check out the old country store in Bergheim—it’s worthy of a tour. 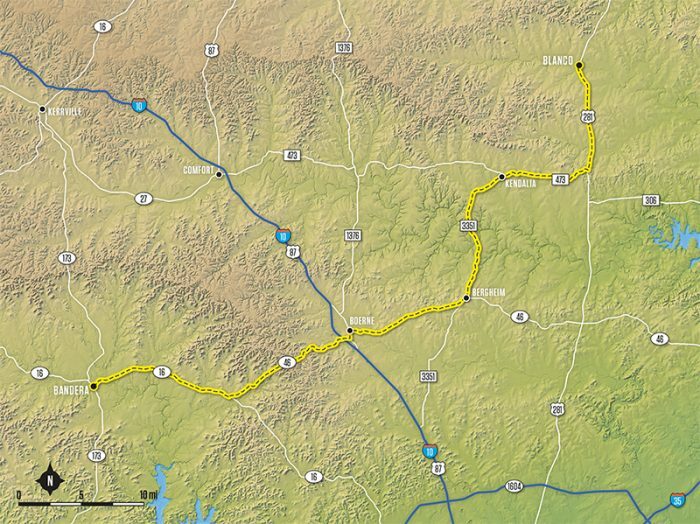 Veer off the main highways in Boerne to enjoy the town’s historic district. 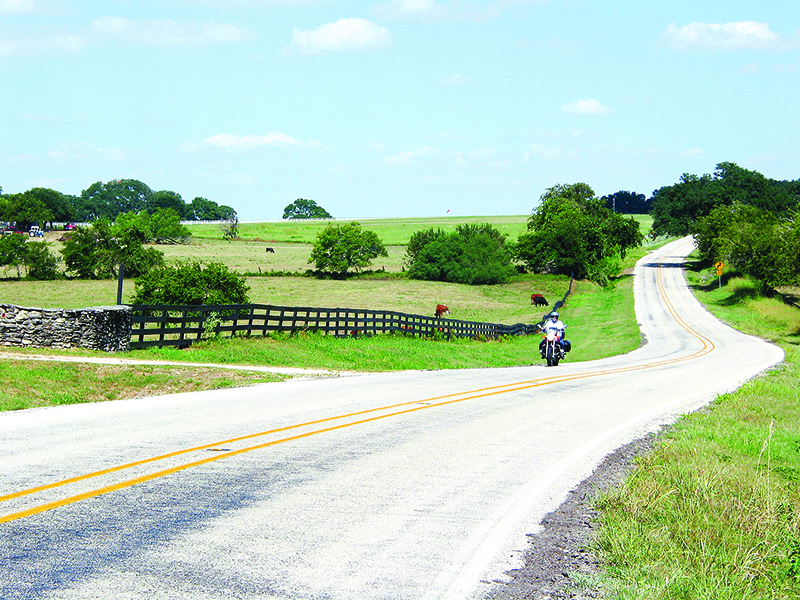 Bandera, the Cowboy Capital of the World, is put to good use by bikers as a base camp with easy access to great roads in the surrounding hills. Consider staying over to enjoy the live music scene or any of numerous events, including the popular Mardi Gras celebration. 848 TX Hwy. 46 E.